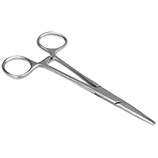 Have you ever tried to remove a broken pen sac from the barrel - your needle nose pliers are too wide and your tweezers just don't grip tight enough or keep slipping. Well, this tool eliminates all that. 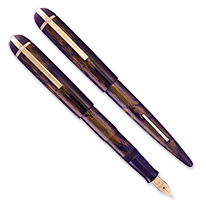 Its long reach allows you to go all the way into the barrel and pull out whatever material needs to be removed. Made of stainless steel, it's a must tool for anyone who does repairs and restorations. This tool lets you reach and grip where and what others do not. These forceps are designed for grabbing. 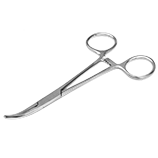 They do not replace hemostats, which are designed to have a stronger, latching grip for items such as pressure bars. 31∕2" (89 mm) long nose.